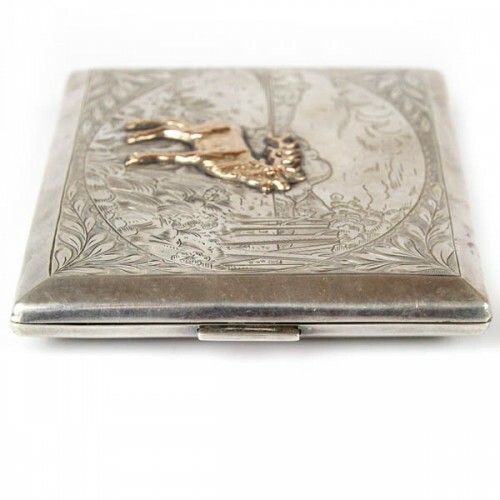 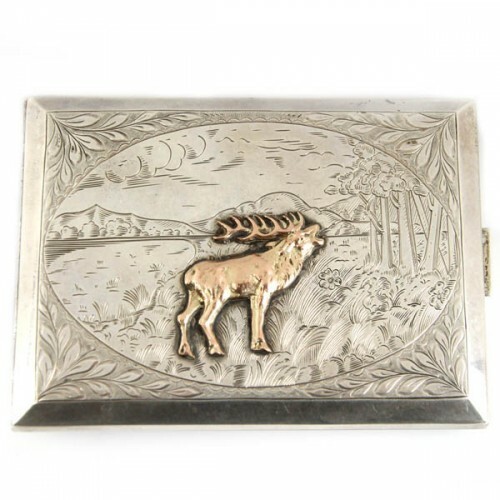 Pasarel - Silver Rectangular Deer Cigarette Case, Germany, Circa 1900. 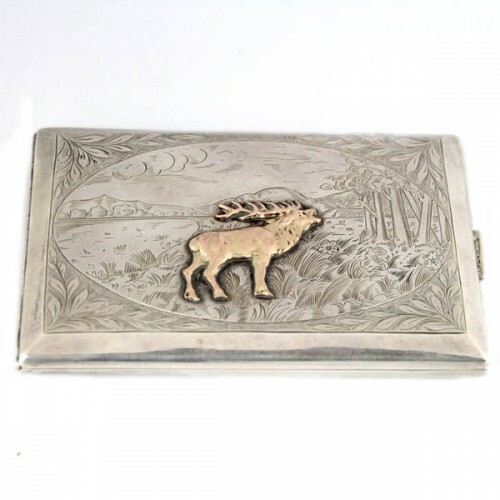 Silver Rectangular Deer Cigarette Case, Germany, Circa 1900. 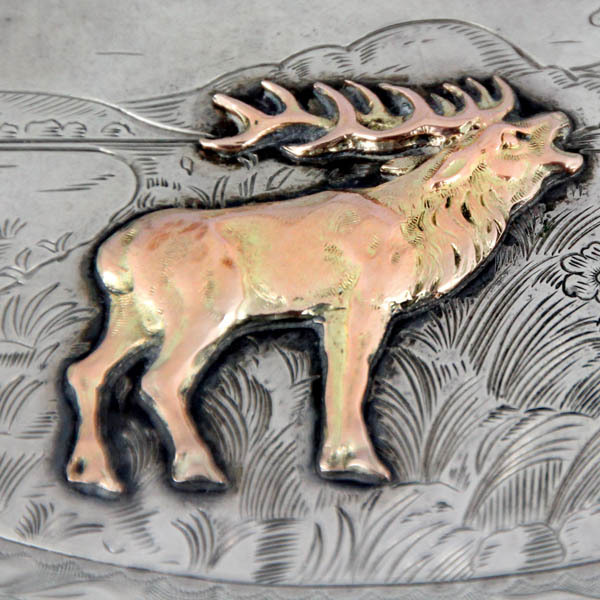 Of rectangular form with engraved lakeside landscape centered with an applied gold deer. 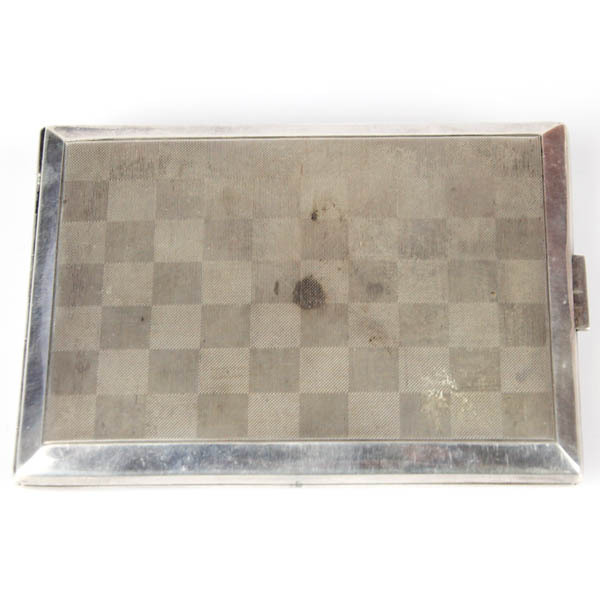 The reverse with engraved and engine turned checkered pattern. 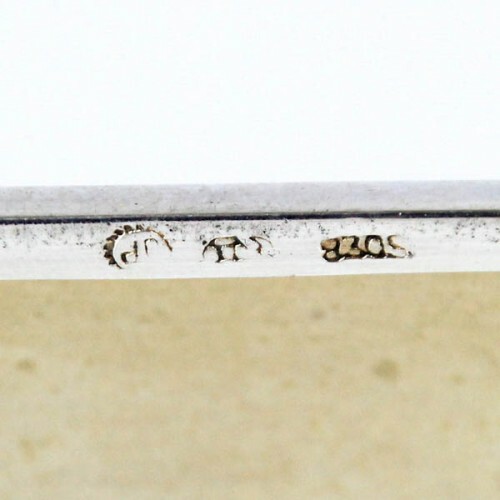 Marked with German silver marks (830, crescent moon and crown) and maker’s mark. Measures: 8.5cm X 12cm / 3.35in X 4.7in. 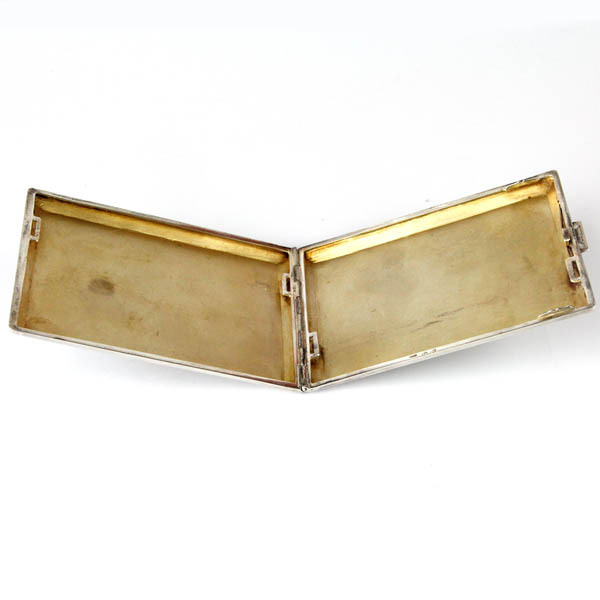 8.5cm X 12cm / 3.35in X 4.7in.